In September, Finfeed highlighted the poor performances of traditionally defensive healthcare stocks which had been hindered by a number of factors, not the least being unexpected regulatory changes. The companies we focused on were Ramsay Health Care (ASX:RHC), Sonic Healthcare (ASX:SHL) and Primary Health Care (ASX:PRY). Since then, SHL has fallen further while PRY and RHC have flat-lined. All of the companies are trading close to their 12-month lows, highlighting the lack of confidence regarding the structural changes that are required to restore historical earnings growth. Consequently, it’s an opportune time to search for a stock that is still in the defensive healthcare sector, but is less exposed to the regulatory shocks that have impeded the progress of the one-time market darlings. Though the company only listed on the ASX in January this year, Zenitas Healthcare (ASX:ZNT) appears to have a business model that is significantly insulated against the impact of regulatory reforms. While only a newcomer, ZNT has been quick to make a good impression having outperformed its underlying net profit prospectus forecast by around 9 per cent. 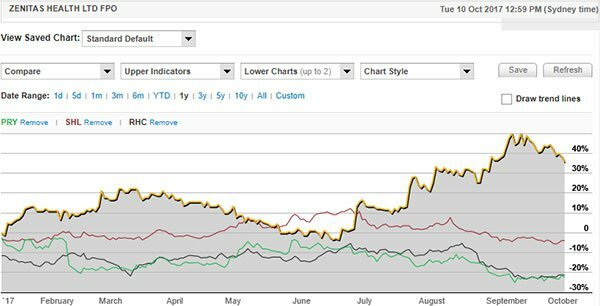 The following chart demonstrates ZNT’s relative share price outperformance against RHC, SHL and PRY in 2017.
which provided exposure across three sub-segments of community-based healthcare. At that stage, ZNT was a small community-based healthcare operator in its own right, providing integrated care solutions primarily aimed at reducing the reliance on high cost acute and post-acute institutional care. Hence, management knew this area of the healthcare industry well, and the three industry segments it focused on — Allied Health, Home Care and Primary Care — all catered for niche markets that had delivered strong growth over a 10-year period. 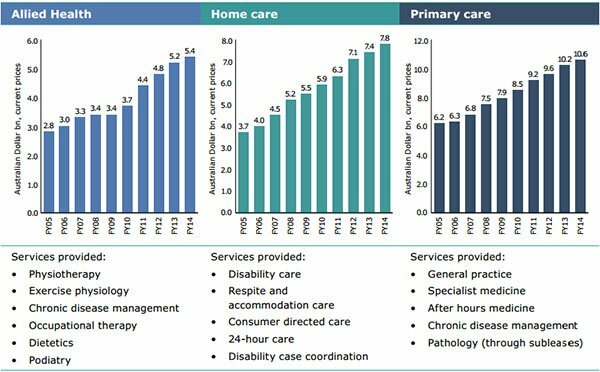 The following chart indicates the wide range of services provided, and it is worth noting their strong alignment with the common requirements of the elderly. Consequently, ZNT offers strong exposure to the ageing population thematic, and this was evident in its fiscal 2017 result in which Allied Health accounted for 55 per cent of revenue. As well as the areas mentioned above, the Allied Health segment incorporates optometry and optical dispensing. The businesses operating under this banner were typically one-clinic practices which were owned by one or a number of clinicians. In recent years consolidation of the industry has led to a number of larger practices and corporate entities owning multiple practices. This leaves ZNT well-positioned to take advantage of fragmented industry conditions. 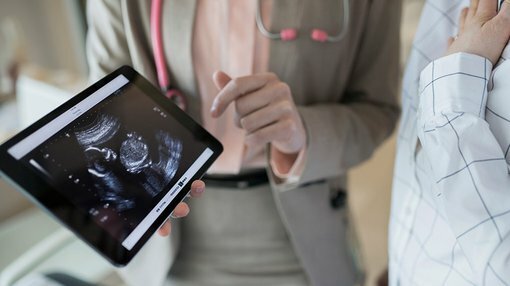 However, the other part of ZNT’s strategy is to own and manage a range of community-based health services businesses that provide integrated care solutions, primarily aimed at reducing the high cost of acute hospital care, which makes it the only ASX listed group specialising in that market. On this note, the company’s goal is to take advantage of its three areas of expertise whereby it can offer a blended range of services. 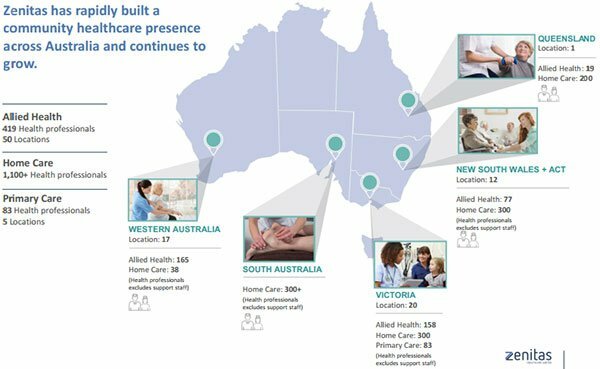 Management went on to strengthen its operational footprint in 2017 with the acquisitions of NexttCare and Dimple, Australia’s largest podiatry business. This sees the company enter fiscal 2018 in a strong position with expected annualised gross revenues of more than $100 million. The two acquisitions are forecast to generate EBITDA of $5.2 million in fiscal 2018, a significant contribution relative to management’s guidance which is in a range between $13 million and $13.5 million. Providing further comfort for shareholders is the fact that management is expecting organic growth to be in a range between seven per cent and ten per cent. There have been a large number of businesses that have come unstuck because of an overreliance on acquisition-led growth in industry sectors which were ripe for consolidation. Looking back approximately a decade, and it was the childcare services industry that disintegrated. ABC Learning was the most aggressive in terms of acquisitions, and it emerged as the biggest failure, stripping hundreds of millions of dollars from shareholders as it went into liquidation. More recently, it was Slater and Gordon (ASX:SGH) that bit off more than it could chew. In what is seen as the relatively safe legal industry, the company’s aggressive acquisition strategy saw it swallow up numerous mid-size businesses. However, after accumulating a substantial amount of debt in expanding its portfolio of practices, the cracks began to appear, and underperformance in various areas resulted in its share price plunging from $8.00 in 2015 to its recent trading range of circa 7 cents. Bell Potter analyst, John Hester, has a high opinion of ZNT. While he noted that fiscal 2017 revenues were shy of prospectus guidance, the key takeaway was that the company exceeded its net profit forecasts and beat Bell Potter’s expectations by 8 per cent. ZNT also has a strong balance sheet with cash and undrawn debt facilities of more than $10 million post the recent acquisitions. Hester is forecasting ZNT to increase its underlying net profit from $4.8 million in fiscal 2017 to $8.2 million in fiscal 2018. This could be the period in which the company benefits substantially from acquisitions. However, his projections also imply compound annual earnings per share growth of nearly 20 per cent between fiscal 2018 and fiscal 2020 inclusive. These projections support his buy recommendation and price target of $1.52 which was increased from $1.31 after the company released its full-year result.